I’ve been nervous about stepping into the Japanese green teas. 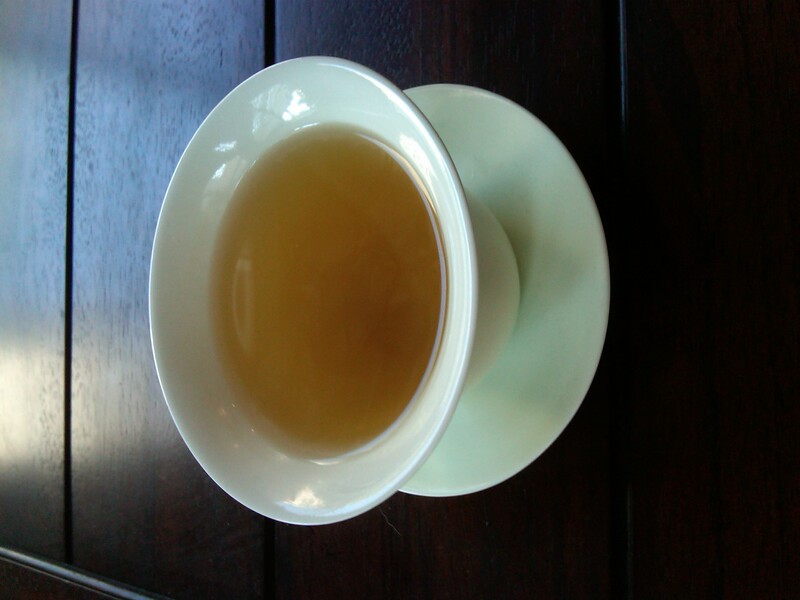 Sencha seems like the next logical phase of my journey, but I’ve kind of been putting it off. I’ve made excuses to make time with my other new friends, Dragonwell and a house green tea. Ah yes. That’s a tea I’d like to hang out with. So, fears pushed aside, I brought out my official “cupping” set and tried to show this tea that I knew what I was doing. It politely smiled at my show. So tactful, this blend is. It’s warm yellow hues lightened me up considerably. It’s fragrance was a bit grassy, but there was a fruity sweetness to it. Here we go. The first sip. Now this is how one should be eased into green teas. Summer-y tones of mint and fruit create the lightest backdrop of sweetness that mellow the grassiness that wants to overpower. Within a couple of sips, I got distracted and then even forgot that I was drinking green tea. It was like making a new friend that was so easy and natural they blend seamlessly into your family, it’s a no brainer to invite them to the family reunion. Shall we meet again tomorrow? Oh yes! It must have been a nice tea experience. Try Gyokuro (grown under shade). A very mild and fine tea without bitterness. Thanks for the recommendation! I will take all the suggestions I can get!